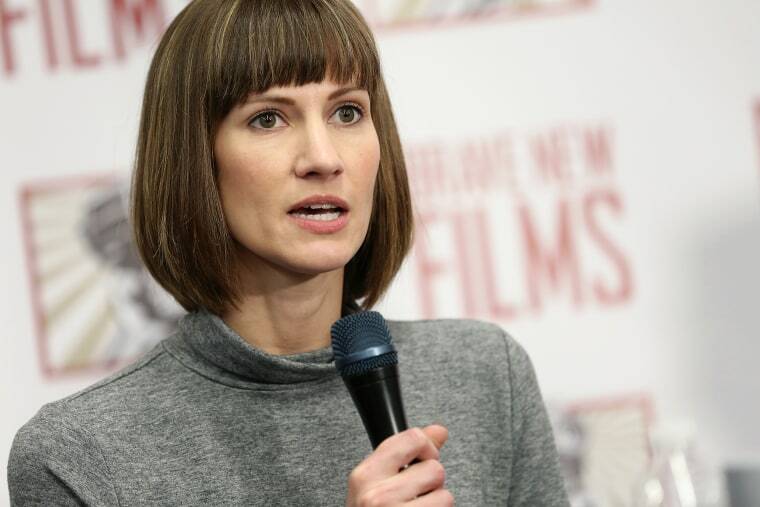 Rachel Crooks: Donald Trump's actions silenced me. I'm breaking that silence by running for office. Rachel Crooks Donald Trump's actions silenced me. I'm breaking that silence by running for office. One short non-consensual encounter 12 years ago with Donald Trump altered the course of my life multiple times: it ultimately prompted me to leave New York City; speaking about it made me a sort of public figure; and it has inspired me to run for office in my home state of Ohio. I didn’t choose what he did to me: Having that kiss forced on me in the elevator lobby outside my company’s office in Trump Tower made me feel very small, and I lived with that feeling and blamed myself for his actions for many years. But choosing to run for office in Ohio is not really about what Trump did to me; I’m running because his election and the actions of our political leaders since then have demonstrated to me that there is a lack of honesty and integrity among our government officials and a lack of desire to bring about change by actually serving constituents. Neither should be such novel concepts, but, in today’s world, they appear to be. Just this week, for example, President Trump decided to use his favorite platform, Twitter, to attack me directly, despite the fact that our country has been mourning the loss of 17 lives in Florida and learning more about a foreign nation who interfered in our elections. Trump seemed to imply that he would not have kissed me against my will due to the presence of security cameras, as though the threat of someone seeing him was the only reason he’d refrain from sexual assault. Talking about what Trump did to me is far outside my comfort zone; so is running for office. From what I’ve seen of politicians, the idea of joining their ranks makes me squeamish. Self-promotion? No, thank you. I’d rather lead by example than boast unnecessarily. The last year and a half, however, has gotten me accustomed to speaking out for what is right. When I read Temple Taggart’s account in the New York Times in May 2016, I wrote to the authors and offered myself up as evidence should anyone question her account, since what he did to me was so similar. In October of 2016, when the Times requested to make my story public, I toiled with that decision because of the potential backlash, but decided to do the right thing — telling the truth about this man who wanted to become our president — after hearing Trump boast about his behavior on the Access Hollywood tape but denying doing those things in the presidential debates. From what I’ve seen of politicians, the idea of joining their ranks makes me squeamish. And though I stayed out of the limelight as much as possible for the following year, watching the incredible, long overdue #MeToo movement unfold (and powerful men in various industries being forced to suffer the consequences of their actions) made me realize, again, that silence was no longer an option. The double standard of not holding the most powerful man in the world to account made me angry, and I decided I would again come forward. I wasn’t just angry at Trump: I was angry at the lack of integrity in our elected officials, wondering how they could face themselves in the mirror knowing they shielded a sexual predator because it was politically expedient. So, in December, I agreed to go on CNN alone to discuss what Trump had done to me because I felt it was a responsibility I could not ignore. A week later, I spoke publicly on the Today Show and at a news conference with Samantha Holvey and Jessica Leeds. Despite having already shared our stories, we felt that Congress should no longer avoid addressing the #MeToo movement and its implications for the president. I cannot understand how politics has become so corrupt that officials simply serve their own interests, rather than the people they were elected to represent. But our stories were cast aside by politicians who — because they continue to stay silent — are complicit in Trump’s actions. As a conscientious person who feels strongly that values and actions should align, I cannot understand how politics has become so corrupt that officials simply serve their own interests, rather than the people they were elected to represent. So I want to change that, in part inspired by current Ohio representative Teresa Fedor and former Congresswoman Mary Jo Kilroy, who were on my bus to the Women’s March in D.C. last year and encouraged more women to run for office and increase their political activism. How can I complain about this system without being willing to take action of my own? I’m keenly aware that women hold only 22 percent of the legislative seats in Ohio, despite them representing more than half the state’s population. My district’s seat has never once been represented by a woman. If I win my race to serve in the Ohio House of Representatives, I will represent the area I have called home for most of my life. I do not have all the answers to the problems my neighbors face, but I at least am willing to listen to them and work hard to bring about the changes they need in order for them to live fully and happily. It’s a simple goal that, unfortunately, our current politicians have neglected. I realize that once again I will face a backlash, as though I am not allowed to have a voice because I spoke out as a victim. But hopefully, as I found my voice in recent years by seeing brave women speak out, other women can find theirs by seeing me speak, and together we can work to represent so many voices that have gone unheard in American politics. Rachel Crooks is a candidate for the Ohio statehouse and a university administrator. Rachel Crooks is a candidate for the Ohio statehouse and auniversity administrator.